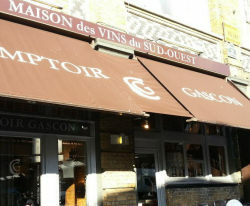 The Wines of South West France have announced that for the second year they are sponsoring the “Maison des Vins du Sud Ouest” within the excellent Comptoir Gascon restaurant in London’s Smithfield, at 63 Charterhouse Street. The Maison des Vins houses a selection of wines chosen by Tom Cannavan who tasted well over 200 wines from across the region’s appellations like Cahors, Madiran, Gaillac and Saint-Mont, and selected around 80 representing his top picks. These wines are on free tasting with lunch or dinner at Comptoir Gascon throughout 2013, and a selection is occasionally on free tasting at sister establishment, Cellars Gascon too. Wine writer and educator Wink Lorch is an authority on the wines of the Jura region in eastern France. Now she is writing the definitive guide book to this little-discussed but fast improving wine region. Like several other recent wine authors – or potential authors – she chose a self publication route though a social network funded service called ‘Kickstart’. The fund raising campaign ran for just a few weeks and signed-up enough sponsors to guarantee the £7,500 costs were fully funded. The book is due for release in April 2014. Read more at Kickstart. After an extensive re-fit The Oxford Wine Café opened its doors on Wednesday 3rd April. Much work has been carried out on the former Summertown Wine Cafe premises, including stocking with “top quality boutique style wines,” and Riedel glassware. As well as a by the glass range starting from £2.95, the Cafe will be offering a full and varied range of wines by the bottle from £14.95. Regular tasting events will take place and the company’s Theo Sloot will also present informal tastings. The Café’s menu will be available between 8.30am and 10.00pm and will feature “a selection of quality dishes, a range of fine teas and excellent coffee as before.” The Oxford Wine Café, 38 South Parade, Summertown, Oxford OX2 7JN. One of the most exclusive expensive Champagne houses has been hit by what is though to be a very professional team of burglars who broke into the cellars in the early hours of one Friday morning in late March. The thieves made off with 3,700 bottles of the Champagne, which has one of the rarest productions in the region, each bottle worth around £100. 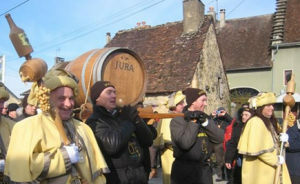 Local newspaper l’Union reported that the gang used alcoholic sprays to eliminate any traces of their fingerprints or DNA as they removed eight pallets of wine. Speaking to the Drinks Business magazine, Selosse said that the cuvées stolen werethe brut ‘Initial’; the single vineyard blanc de blancs ‘Substance’; the blanc de blancs ‘Version Originale’; the rosé and the demi-sec ‘Exquise’. He added that the wines were bound for the US and Japan and bore the name of the intended importer on their labels, hopefully making selling them on more difficult. Of greater concern is the fact that the thieves also made off with thousands of labels and neck collars. 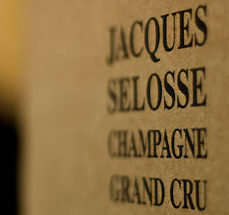 “We suspect that they wish to make fakes,” said Selosse. Liv-ex is a kind of stock exchange for wine that tracks the performance of the world’s top wines in investment terms. Thier Liv-ex 100 (think FTSE 100) has seen a fourth consecutive monthly rise, up by a further 1.29% in March. It closed the month on 279.9 – its highest level since April 2012. The company says “This month has seen the Liv-ex 100 welcome in the 2010s and not surprisingly perhaps, Parker’s 100-point wines Pape Clement and Latour 2010 were among the biggest gainers.” Latour 1995 also featured amongst the top performers on the back of an ex-chateau release of 1250 cases. The wine however still closed the month at a 12% discount to the new release, suggesting that the market remains unconvinced by its premium.